18 Aug 2014: Debbie Sharp & Rosanne Robertson. Photo: Pam Van-Damned Visuals. 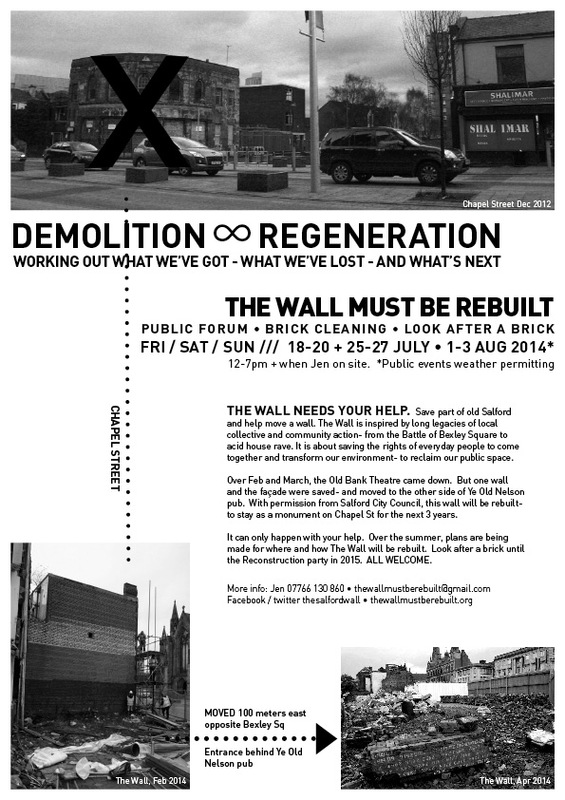 NOW: RECLAMATION • PUBLIC FORUM • BRICK CLEANING • LOOK AFTER A BRICK • NEXT SESSIONS: 1-29 November 2014. Hopefully I’ll be able to replace them by Wed. If planning on coming from 5th Nov onwards, please phone/e-mail to confirm. If you’re planning on coming, let me know for numbers – I’ve currently got tools for 15 people to be working at a time. Though only workspace for 5 (due to theft of timber from the site). If anyone has a table they can lend to the project, please get in touch! Tools, safetywear and basic refreshment provided. Warm work clothes + sturdy shoes/boots recommended. Free parking on-site. If you’re not used to outdoor manual labour, it’s recommended to do 2 hours max. Additional hours can be arranged – e.g. Sundays, though aiming to give local residents Sundays off from brick banging. Over the summer, Jen will be preparing the bricks and the site. 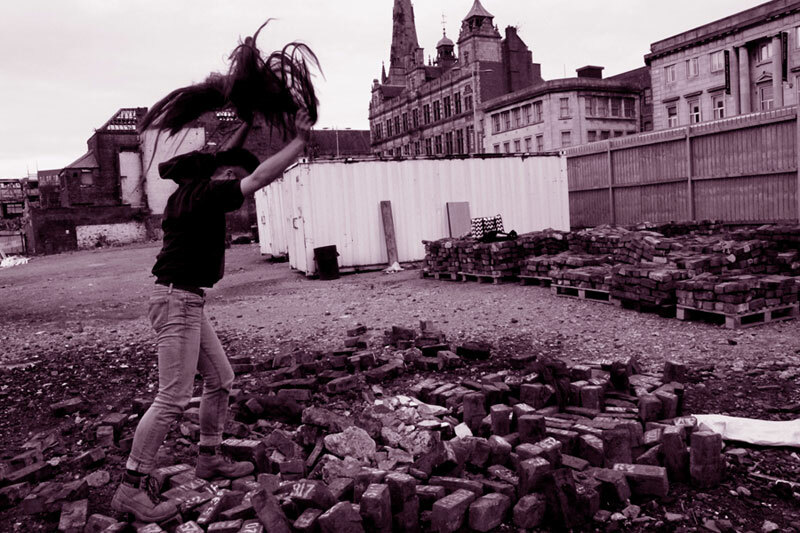 All welcome to come and ‘look after a brick’ — and contribute towards working out the shape and future of The Wall – where it will be positioned, how it will look – leading up to the final Reconstruction event (date tbd). 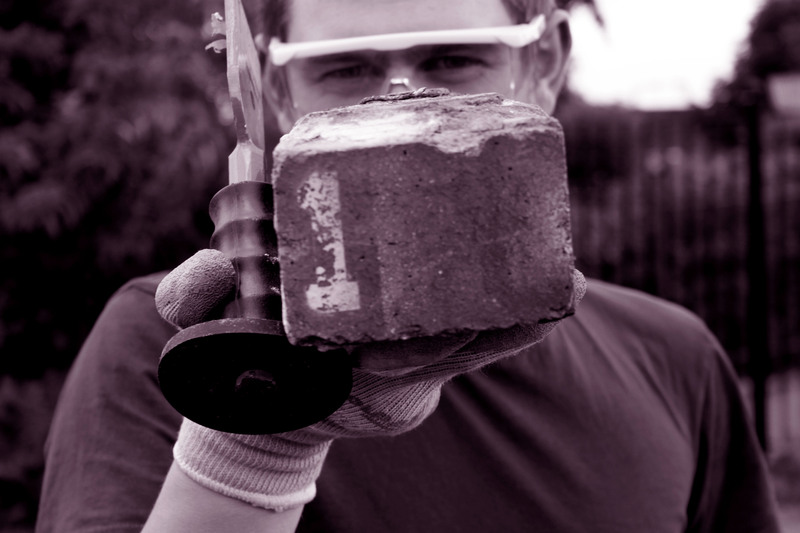 18 Aug 2014: Jamie Robinson (KHOM) with brick number 1. Photo: Pam Van-Damned Visuals. The Wall began as an idea – in short, to move a wall. The following link to Islington Mill’s JULY 2013 programme describes the work as it was intended when going to print. Due to the logistics of the site, the phases of dismantling and community involvement have evolved to become a more gradual process to take place in stages over the next year. Between The Wall’s future dismantling and reconstruction, The Wall will exist through a series of community-driven events. Their shape and form will evolve through what is hoped to be a growing network of local support – culminating in the Reconstruction ‘Rave’ in spring 2015. This website is being developed to enable these events, for local groups and individuals whose interests are sympathetic to those raised by The Wall – e.g. 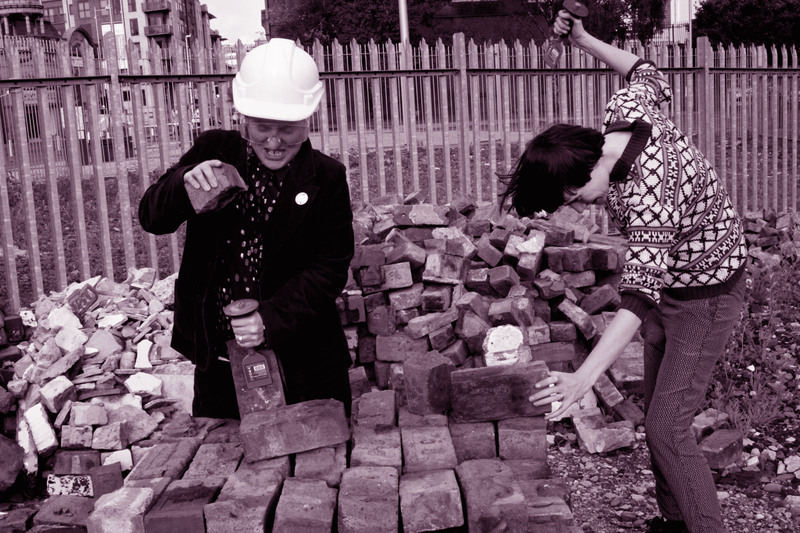 art, regeneration, collective empowerment, DIY, music, social space, local heritage and future. To keep informed, get in touch via the contact details on the left. ← Could there be a political party?